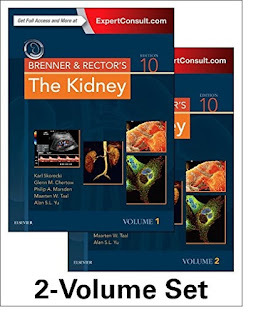 Overcome the toughest clinical challenges in nephrology with Brenner & Rector’s The Kidney -- the most well-known nephrology resource in the world. A diverse team of more than 200 international contributors brings you the latest knowledge and best practices on every front in nephrology worldwide. 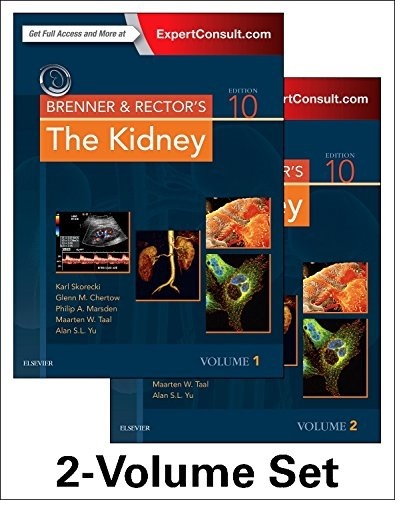 From basic science and pathophysiology to clinical best practices, Brenner & Rector’s The Kidney is your go-to resource for any stage of your career. Review of the basic science that underpins clinical nephrology, comprehensive selection of the most important bibliographical sources in nephrology, and Board Review-style questions help you prepare for certification or recertification. Coverage of kidney health and disease from pre-conception through fetal and infant health, childhood, adulthood, and into old age. Expanded sections and chapter on global perspective and ethical considerations. Uniform terminology and nomenclature in line with emerging consensus in world kidney community. More than 700 full-color high-quality photographs as well as carefully chosen figures, algorithms, and tables to illustrate essential concepts, nuances of clinical presentation and technique, and decision making provide a visual grasp and better understanding of critical information. Internationally diverse, trusted guidance and perspectives from a team of well-respected global contributors. An editorial team headed by Dr. Skorecki and handpicked by Dr. Brenner ensures the ongoing adherence to previous standards of excellence. All chapters have been extensively updated or entirely rewritten by authorities in their respective fields. The latest clinical information including recent clinical trials, genetic causes of kidney disease, cardiovascular and renal risk prediction in chronic kidney disease, new paradigms in fluid and electrolyte management, and pediatric kidney disease, keep you current with the rapid development of care and research worldwide. Expert Consult eBook version included with purchase. This enhanced eBook experience allows you to search all of the text, figures, and references from the book on a variety of devices. The must-have resource for mastering all areas of nephrology, extensively revised and with new global experts. Your purchase entitles you to access the web site until the next edition is published, or until the current edition is no longer offered for sale by Elsevier, whichever occurs first. If the next edition is published less than one year after your purchase, you will be entitled to online access for one year from your date of purchase. Elsevier reserves the right to offer a suitable replacement product (such as a downloadable or CD-ROM-based electronic version) should access to the web site be discontinued.